Tracking your website visitors empowers your sales reps to reach out to prospects when they are most interested and close more deals! Check out the interactive demo below. See Website Visitor Tracking In Action! Enter your prospect's name and your company website below. Here's a simulation of the kind of email your prospect can receive. Go ahead and click on the link below and see what happens! As the account executive of , my obsession is to build a better payment processing product for you. We provide better pricing and more advantages than Stripe including, being more affordable. Really appreciate your trust to consider referring our product to your clients' for their e-commerce payment processing needs when you build websites for them. 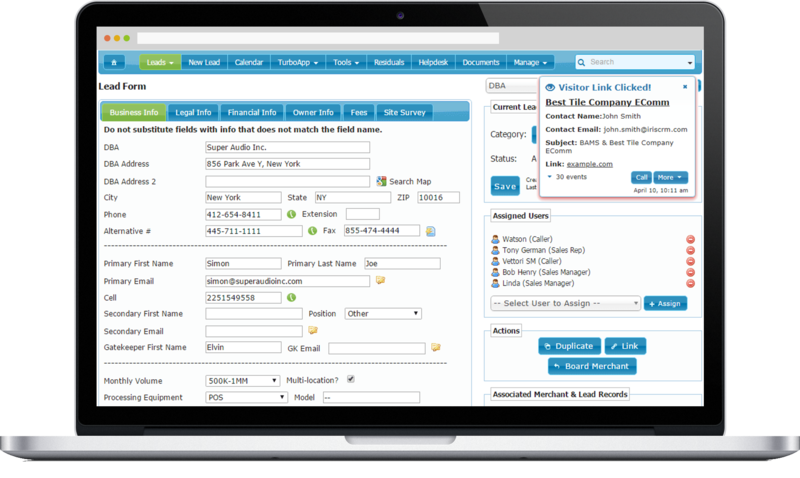 Start clicking around and you'll see how IRIS CRM will notify you about the activity on your website.